I was fortunate enough to be granted a digital copy of the most final proof of Home for Erring and Outcast Girls by Julie Kibler. I read Calling Me Home by this author in 2013 and thoroughly enjoyed it. I loved Home for Erring and Outcast Girls 10 times more! 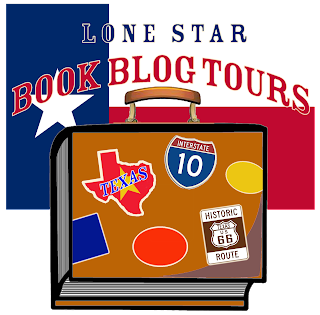 The book is mainly set in Arlington and Austin, Texas as well as Oklahoma. Full disclosure: Many of the scenes take place on or about the University of Texas at Arlington (UTA) campus, which is my alma mater. I think this is why the book piqued my interest and resonated with me. This historical fiction novel is based on the actual Berachah Home for the Redemption and Protection of Erring Girls, established by Reverend James Toney and Maggie Mae Upchurch in 1903. Many of the real women whom the fictional characters are based on are buried in a cemetery on the grounds of UTA. 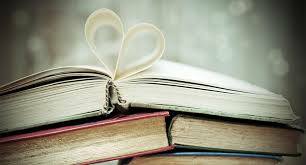 The fictional story follows three strong female leads and their respective story lines that alternate with each chapter. In near present day, the reader first meets Cate who is a 30-something librarian at the university studying the history of the Home. Cate's story is told in present day in Arlington and flashbacks to her teenage years in Austin. Lizzie and Mattie's stories are also told at the turn of the century as residents of the Home. Over the course of the novel, we travel 30 years with Lizzie and Mattie. The overall theme of the book is forgiveness of self and recovery leading to personal discovery. I think the main characters in the book struggle with this as well as hesitance in letting other people get close. To be fair all of the major characters in the novel experienced some massive trauma that resulted in her respective emotional vulnerability. The author did an excellent job of illustrating these varied emotions through her descriptive language, driving tone, and exceptional prose. Some scenes made me smile while others made me cry and there was a character or two that made me angry. I really became invested in these characters, and they stuck with me long after I finished reading. My only critique of this story is the creative criticism of the church. I understand that this is the lens through which the author views things, and I respect it. However, it is an element that made me a little uncomfortable ... but that is what effective art does, right? It makes you dig deeper and question things, which is why reading and writing are so important to our societal growth. As a professional marketer, I know the greatest success is when you can drive a consumer to initiate or make a change in behavior. As a result of Kibler's beautifully told story, I have felt compelled to revisit my alma mater and seek out this hidden treasure that I'd never known until reading Home for Erring and Outcast Girls. Recommendation: I really enjoyed this book and hope to get a final, hard copy upon publication to include in my home library. I think my fellow Maverick alums would also appreciate this book. If you enjoy strong female protagonists who experience personal growth or the historical fiction genre, I would strongly recommend you pick up a copy of this book when it publishes this summer. 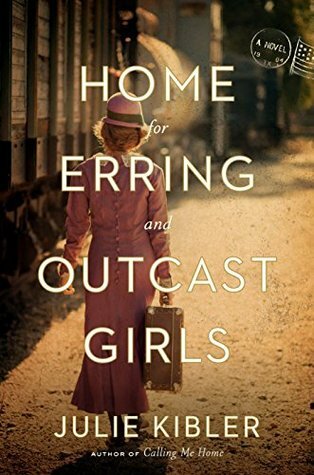 *I received an advance reading copy (ARC) of Home for Erring and Outcast Girls from NetGalley. My copy was an uncorrected digital file. Regardless of whether I purchase a book, borrow a book, or receive a book in exchange for review, my ultimate goal is to be honest, fair, and constructive. I hope you've found this review helpful.